If you easily fall for pretty packaging, lock your purses and ice your credit cards. HaHaHa I'm about to introduce you to a brand called Tokyo Milk. 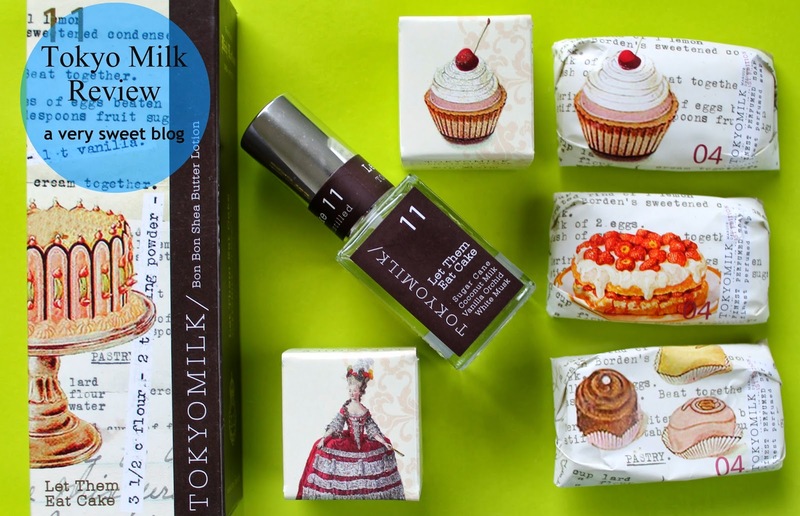 Tokyo Milk is one of FOUR brands or "worlds" (Lollia, Tokyo Milk, Love and Toast, Library of Flowers) created by Margot Elena. I'm familiar with Lollia, because my favorite perfume (and I am NOT a perfume girl) is WISH by Lollia (here me rave about it HERE). Well, I decided to delve into the glorious "world" of Tokyo Milk. 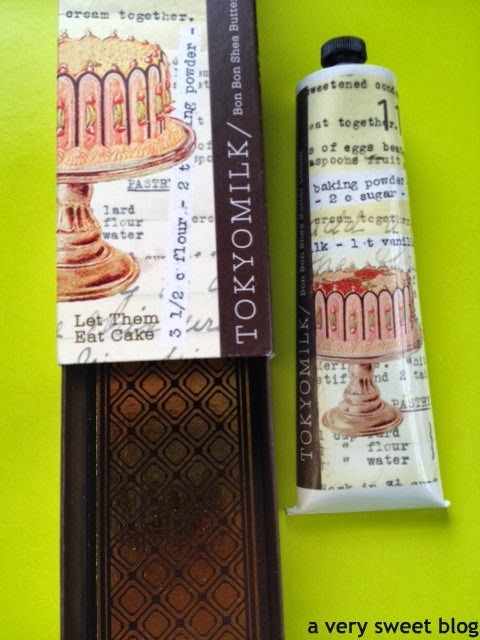 Tokyo Milk is both sweet & dark (the dark side has a femme fatale and fate & fortune section...mysterious huh!?! every "sweet" girl has a "dark" side *snicker*). I decided to stay on the sweet side for my first review. So, let's talk frosted & glittery cakes, bon bons, and sweet cream. 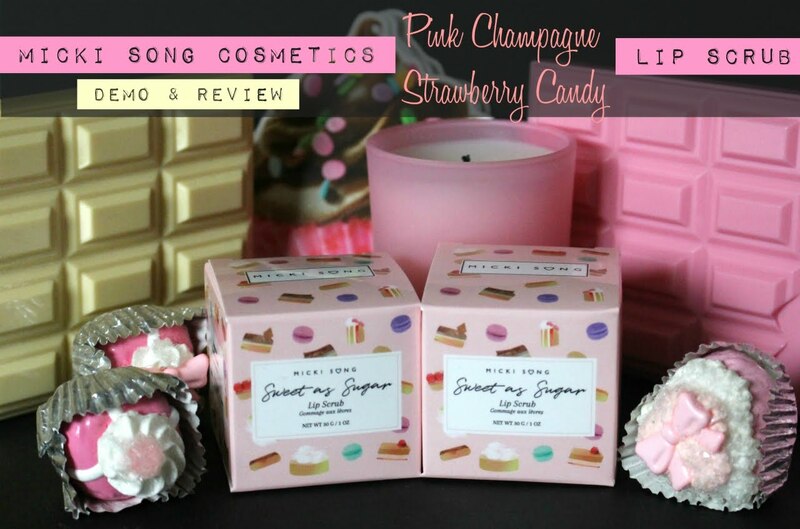 These are beauty products with a sweet theme. The notes for this perfume are sugar cane, coconut milk, vanilla orchid, and white musk. Spray it. Let it set. Then sniff. It's light. It's sweet. It makes you smile. It's not a bakery scent! It's exactly what the notes are above. There's nothing loud or obscene about it. You just smell sweet, feminine and beautiful. I love it. This is a special occasion perfume. Can we talk about the perfume bottle for a second? Tokyo Milk along with the company's insignia is inscribed into the glass bottle. You can also visually see a beautifully decorated pink iced cake, on a pink cake stand (through the bottle). So gorgeous. What you'll find with all of Margot Elena's products is her attention to detail. She leaves nothing undone. I love her for it. It smells like baked vanilla cake! The description is so on point. I can definitely detect the french vanilla and coconut scent. 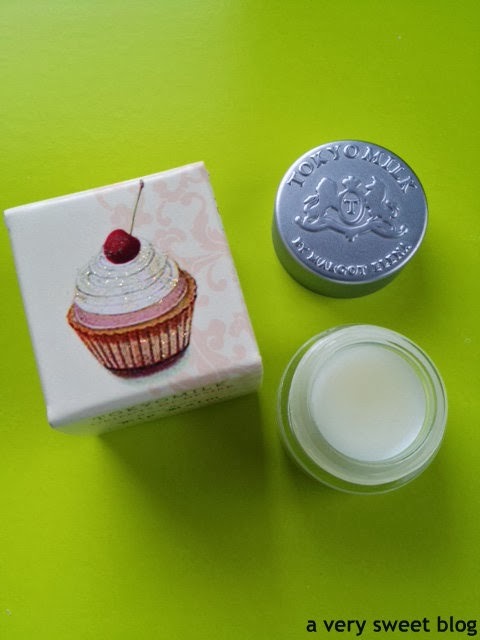 This lip balm contains sunflower seed oil, beeswax, vitamin E, aloe vera and shea butter. My lips stayed moisturized for hours! It's been 5 hours and my lips are still moisturized. HaHaHa The box is exquisite! There's a picture of Marie Antoinette on one panel. Her gown & headpiece sparkles! There's also a cake with glitter, on the front panel. When you open the box, there's a quote! It says, "Where should one use perfume?" a young woman asked. "Wherever one wants to kissed," I said. - Coco Chanel Well Ooh La La! HaHaHa The little jar of lip balm is really cute. The only thing is you have to make sure your hands are clean or use something to apply it (contamination). No taste. Just scent. This lotion is encased in a slide-out (matchbook style) box. It displays a gorgeous decorated cake on the front. There's also gold foil in and around the inner box. It's a fabulous tube of lotion, that has just the right consistency for when it's cold or warm. It will work from season to season. It leaves your hands moisturized and feeling very soft. The reason I only give it a sweet rating, is because of the scent. It's really light and barely there. The lotion makes your hands feel really good, but there's barely a scent. This lotion is NOT sticky or greasy. I didn't know hand soaps could be so decadent and moisturizing! HaHaHa When you wash your hands, this soap lathers a LOT. It's creamy. It's rich. It feels really good to your hands. They feel moisturized. You're not grabbing the nearest lotion afterwards. They're that good. The soaps are lightly scented. Sweet lightly sugared & fresh. Full description in link above. You receive THREE! Each is wrapped in a different wrapper: strawberry shortcake, frosted cupcake w/cherry on top and candy bon bons. 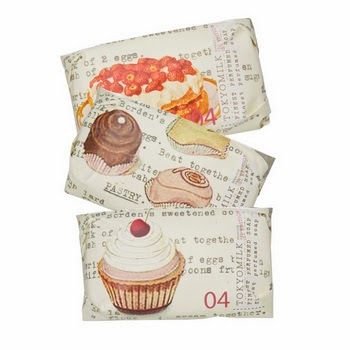 The paper they're wrapped in is so cute & hearty! They're fabulous. Wow! 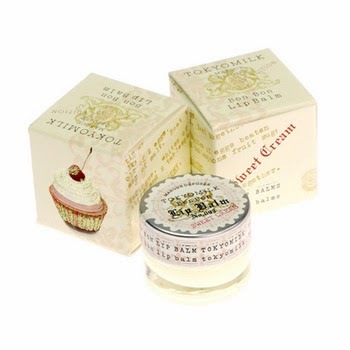 I think I love the Sweet Cream lip balm even more than Let Them Eat Cake! HaHaHa It has an even sweeter scent. It contains the same ingredients as Let Them Eat Cake, but it's vanilla bean, spun sugar and carmelized cream. It comes in a really cute box! The cupcake on it sparkles! Cute iced cupcake with a cherry on top, that's frosted with glitter. This lip balm lasts hours on hours. Again, 5 hours and still going. HaHaHa A real delight. No taste. Just scent. The quote for this one, "is not a kiss the very autograph of love?" - Henry Finck. Fabulous details! No taste. Just scent. Hope you enjoyed! Have a great Monday! 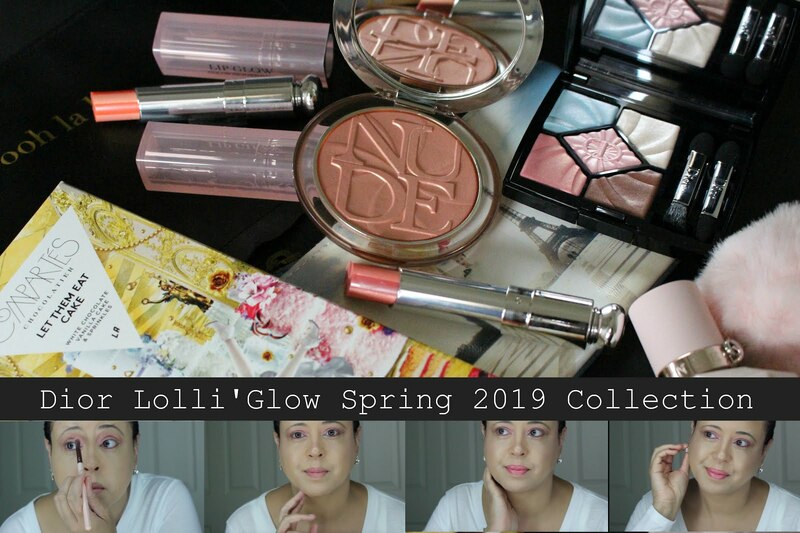 All products reviewed were purchased by me. Oh my gosh that perfume! Oh...em...gee. What a super duper cute line. Kim, you were right to warn us!!! I want them all! I love flavored soaps. And you're righy: the packaging is too cute. I also may have to try the Wish perfume you linked to bc I've never been a perfume girl either but I'm trying find one I like! All items look amazing love the packaging. Where do you find these amazing beauty brands, its impossible to say no to all this sweetness! Feel better soon darling. 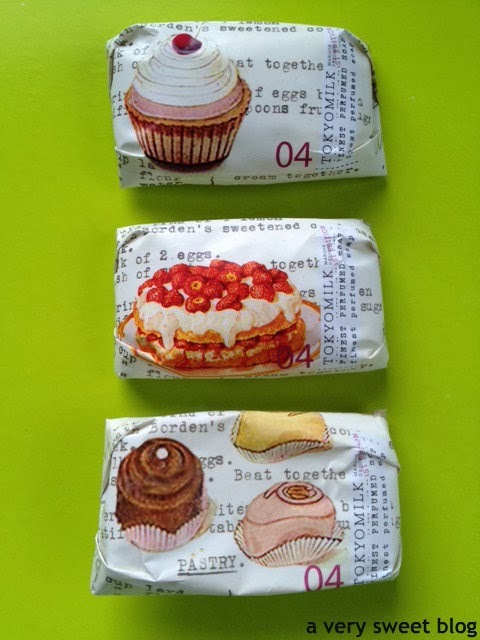 I've probably said before here that I'm drawn to gorgeous packaging and you know about my love of cupcakes etc. 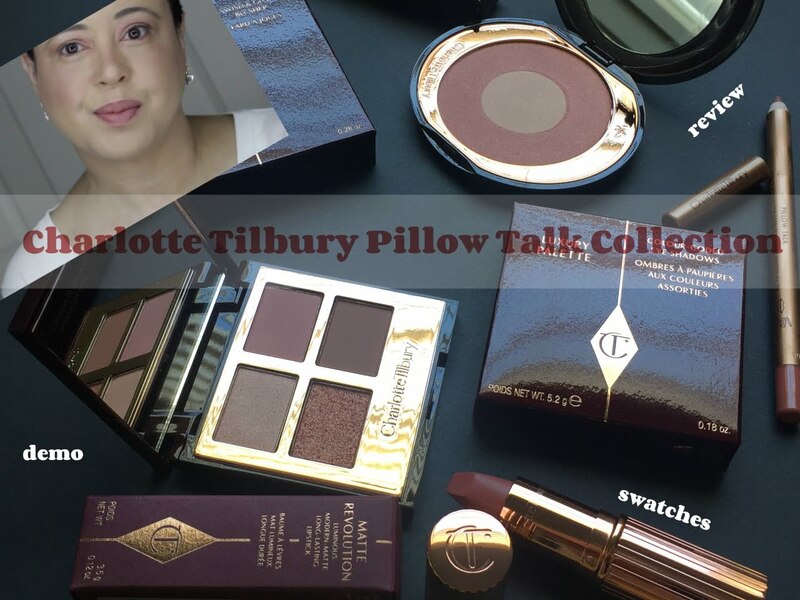 so just looking at these products has me hooked! The lip balm and the hand cream would be two items I would try. Thanks for introducing us to such cute and original products, Kim. Hope your week goes well! These look so yum! Great review Kim and love the packaging, very fun and great attention to detail! Awesome reviews Kim. I came across this line a few months ago at a random boutique and the name really caught my attention. I sampled at least 5 scents and loved them. Cant remember which one was my fave though. Good to know the other products are great too. OH MINE OH MINE!!! This review make me want to go get them!!! Those lip balms are calling my name! When I was younger I had a Lip Smacker (remember those?) that was cake scented...these remind me of it! Okay, I could barely focus through this review, as it left me craving chocolate. Seriously, I looked over at my husband and asked him to run out and get me a bar (he declined)…. clearly a "super sweet" line! Ah again for me it is the packaging that gets me. I generally do not care for food scented beauty products with the exception of cucumber I love that scent. But these products would make wonderful gifts for those that do. Great packaging! You do know your sweet stuff. 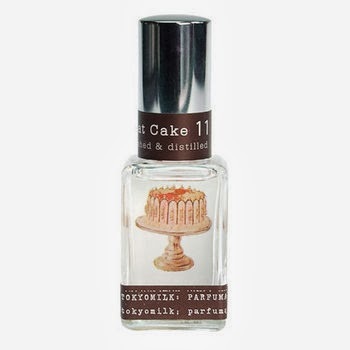 :-) I like how cake is inside of the perfume bottle. Cool! love the packaging. i totally bookmarked their site and i can't wait to check it out! thanks for the intro! 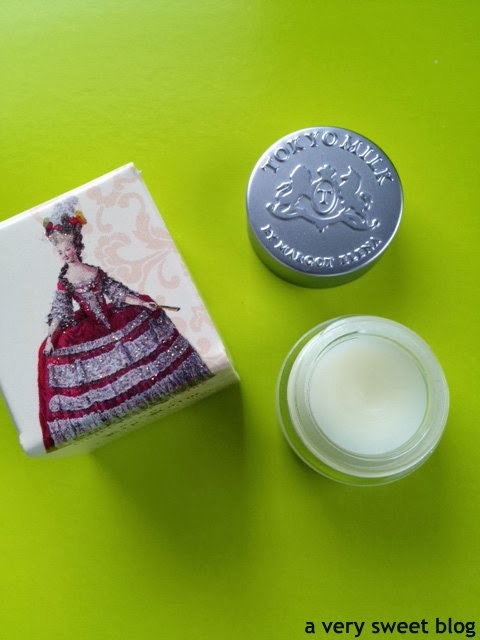 I've only tried Tokyo Milk's lip balms which are divine. I didn't know that had such other sweet products which I will definitely be seeking out now. 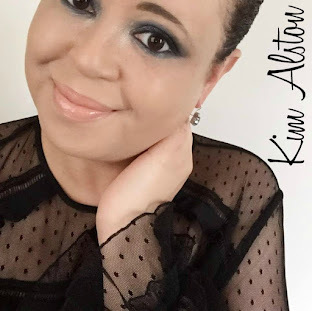 Thanks for the review Kim! I SO need to check out their perfume! That sounds so wonderful, and I am always on the hunt for new scents! I have smelt the perfume and it is lovely. I also like any hand dream with Shea butter. Lucky you with weather in the 70's. Have a lovely week Kim. Everything is so pretty and sounds fabulous. I want to buy everything! Going to un-ice my credit cards now haha. !!! i've wanted to try this brand for a long time. there's a store in toroonto that carries some of their perfumes but i haven never setllted on one. this latest collection sounds decadent! What lovely packaging. As always, more cute things on your blog. This products is so cute! This product is so unique. Looks so pretty and sweet too. I bet they smell so good. 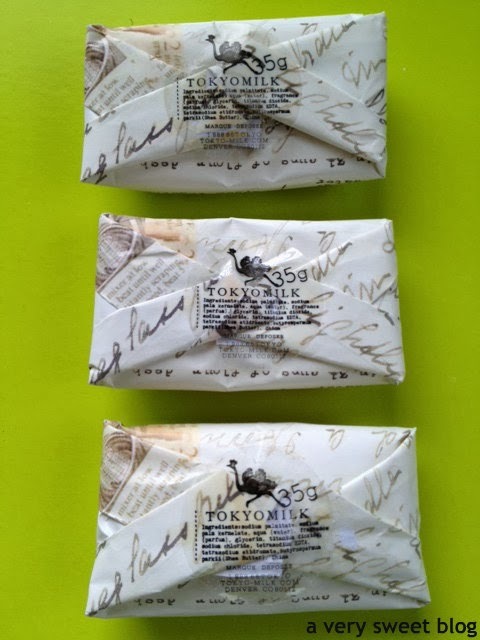 I am obsessed with Tokyo Milk - at first I just fell for the cute packaging when I was browsing a local boutique years ago but when I tried the products, it was the quality and the incredible scents that kept me coming back. Thanks for a great review, Kim! Kim, you always find the coolest and cutest items! I'll have to remember this brand, because I enjoy anything that smells like dessert. The name is cool too. I checked out its website - really good stuff. Thanks for the introduction. Mmm, yes, these all certainly sound like supersweet products! Wow they look great. Where do you get all this stuff Kim? You always manage to introduce some lovely stuff. I have no idea how you find this stuff kim! You always find the cutest products! For some reason, when I read the words "Let them eat cake", I immediately raised my hand and said, "me! let me eat cake!"..... lol. Sorry, I was a bit hungry. Anyway, products these days are sooooo adorably packaged. I want to buy them all so badly. Hihi. I just want to eat all of the lip balms! Ohh and the flavor profiles - vanilla cake, perfume with vanilla and coconut milk - yum, yum! the packaging looks really cute! Its always great hearing from you. OMG the musk sounds so good! The soap & lip balm packaging is so cute! The packaging is so, so, so adorable. Anything with a sweet scent to it is pleasing for me! 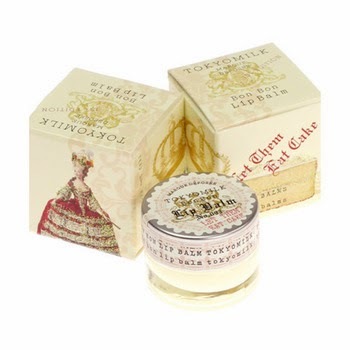 I need to try the Let Them Eat Cake Parfum! I want to try the perfume, all the other products packing is so cute n unique. these are adorable & awesome! wow, amazing products! 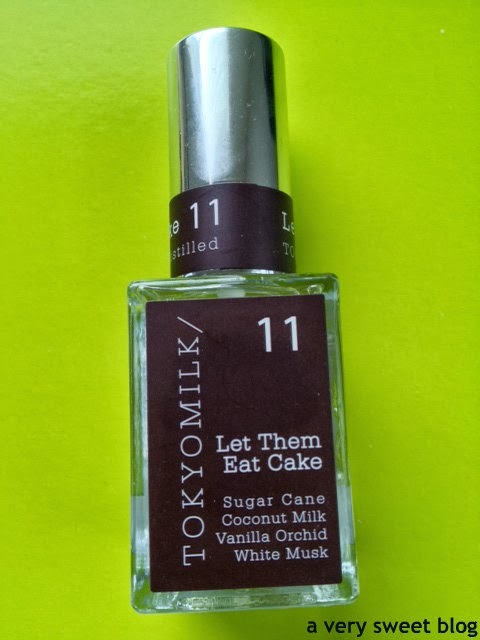 I adore this perfume, great idea for those, who love sweets! Coconut, musk and vanilla seem like an amazing combination! those are some of my favorite scents at the moment :) The packaging of all of these products is so adorable, and the photos really show that! Great review! i have 4 perfumes from TM and they are ok. it sounds like this is the one i need! adding it to my wishlist, stat! thanks, kim! Yes, I love the packaging and attention to detail. 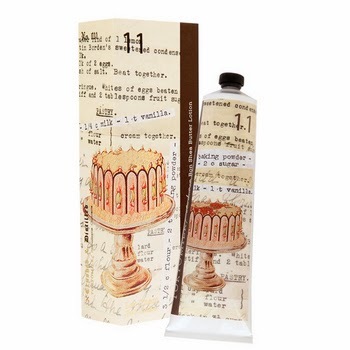 Although, I don't normally want to smell like cake, I would try all of these soaps, lol. Beautiful! I may get my sister some of these, she loves this stuff. :) Have a lovely Wednesday Kim. I definitely fall for pretty packaging easily so I already want to buy these, especially the soaps because I love how they're wrapped and how you say they're super soft. I could see these being such a cute gift idea for girl friends too in a gift basket. oh my...these are too cute!!! love the packaging!! this is the stuff you want to have on your vanity! I loved this review!! Packaging always draw me to a product and this package is fantastic marketed. I love anything that the lip balm has Shea butter in it. I am huge fan of it. I cannot believe that it lasted for five hours…I need some of that in my life!! The packaging is just exquisite Kim!